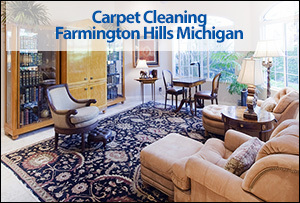 Are you in Farmington Hills Michigan and looking for a full service carpet cleaning company that provides many other services including carpet and area rug cleaning, hardwood floor cleaning, furniture and upholstery cleaning, tile and grout cleaning, and new carpet sales and installation? Capital Carpet provides a wide range of services for carpeting, upholstery, area rugs, tile and grout, and hardwood floor cleaning. Our technicians know how to properly clean carpeting, area rugs, upholstery, and furniture. We use truck mounted carpet cleaning equipment for a professional deep clean. We have tile and grout cleaning services and can make your hardwood floors look like new again. If you are looking for new carpeting we carry many of the top brands and have years of experience installing new carpeting. We would like to be your one stop shop for carpet, upholstery, area rugs, and hardwood floor cleaning. 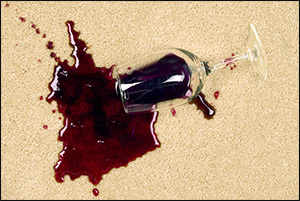 Our technicians have years of experience in carpet stain removal and can help remove tough pet odors and stains. If you are in Farmington Hills Michigan and need carpet cleaning, area rug cleaning, hardwood floor cleaning, tile and grout services, or furniture and upholstery cleaning call Capital Carpet today, we are a full service carpet cleaning company with decades of experience. Testimonial: "Matt did a wonderful job. He was very professional, pleasant, and hard working. Definitely will have him back again!" Testimonial: "Your crew was really nice!" Testimonial: "I appreciate Matthews professionalism, His attention to detail, and engaging manner with my three year old grandson"